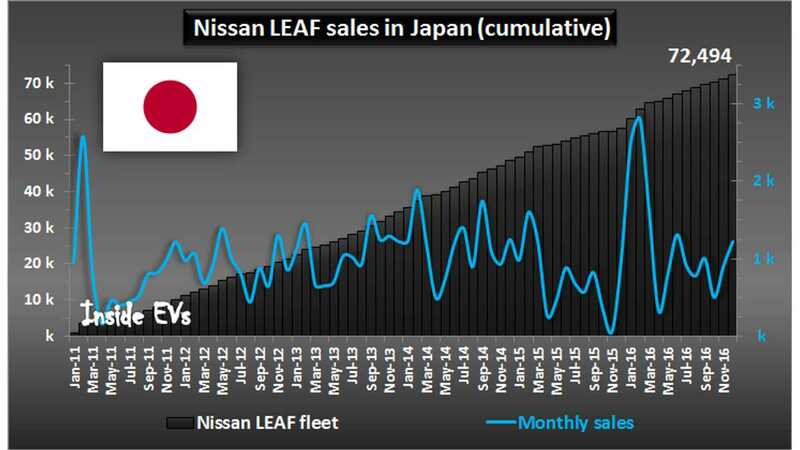 Despite sales of the Nissan LEAF waffling (or just straight out falling) around most of the world, 2016 was the most successful to date for the LEAF at home in Japan; perhaps one of the reasons that has caused Nissan to drag its feet showing the "next" LEAF - which according to the automaker will be "soon". 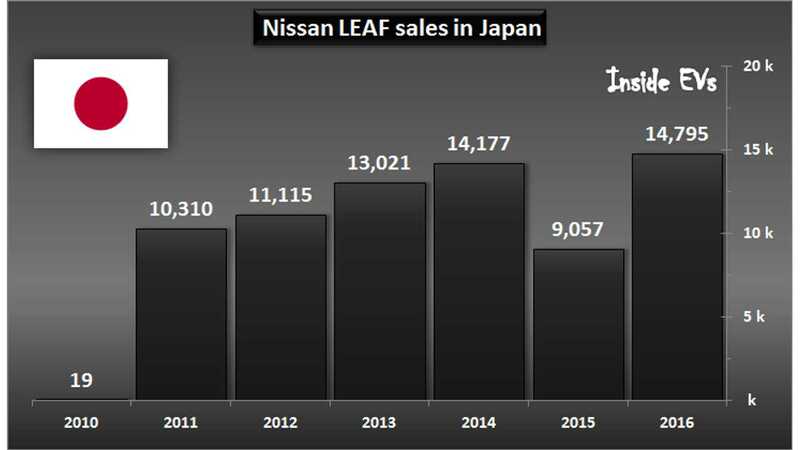 In February of last year, the 30 kWh LEAF arrived in Japan and immediately set a new monthly sales record with 2,819 deliveries, and now we can confirm that a new record was also made for the full year. 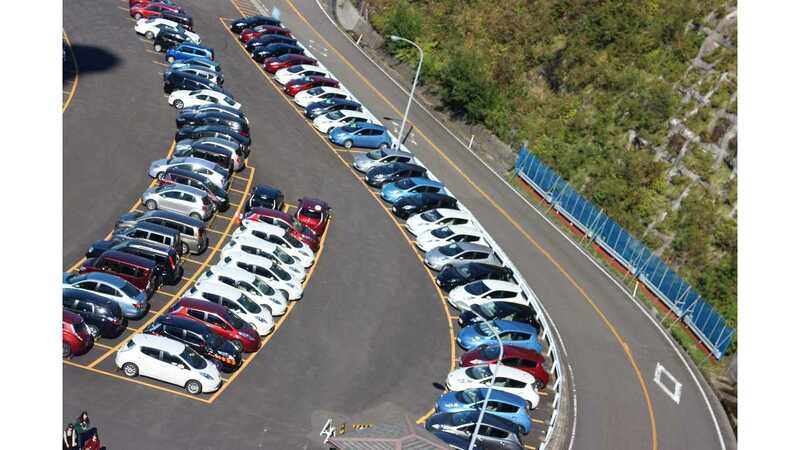 In total 14,795 LEAFs were sold last year, which was 63% more than year ago and 4% higher than the previous record set in 2014. 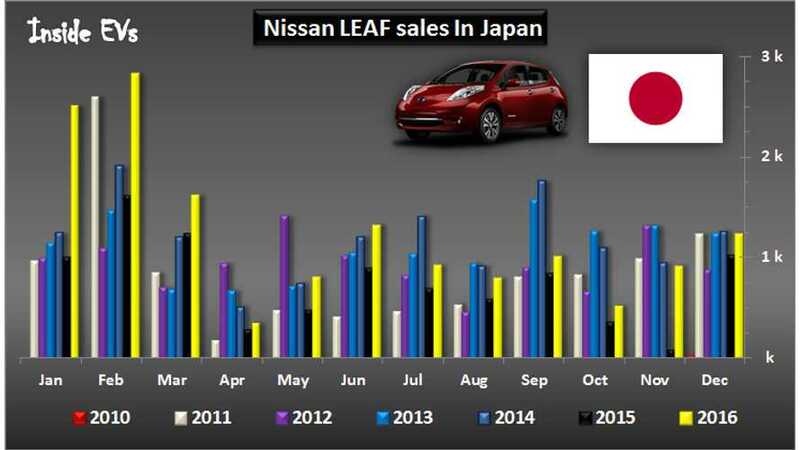 Since its introduction in December of 2010, Nissan has sold almost 72,500 LEAFs in Japan.